"What a fine book! Dr. Blum is crystal clear, authoritative, and kind. Her therapeutic plan for relieving the symptoms and addressing the causes of arthritis is scientifically-grounded, comprehensive, and wonderfully easy to follow. I am delighted to be able to recommend Healing Arthritis to my patients." 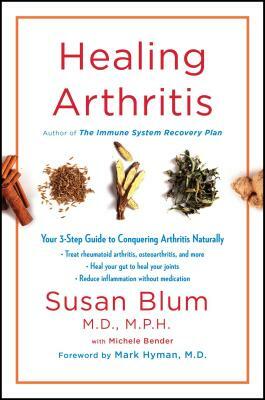 "Finally, a book that delves into the root causes of arthritis…and the practical food-based solutions necessary for healing."